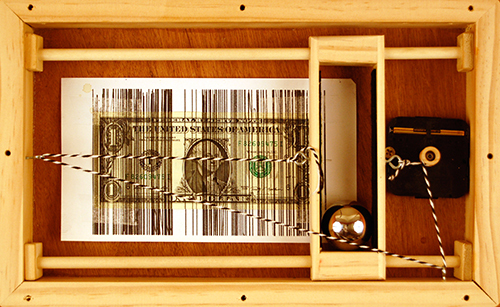 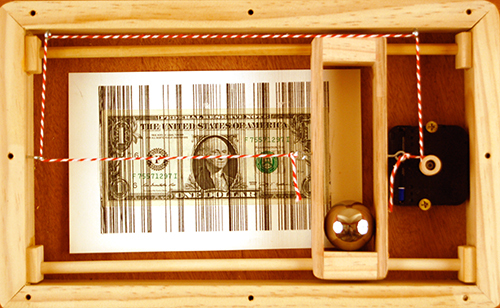 Created for the group exhibit “Currencies,” McColl Center for Art + Innovation. 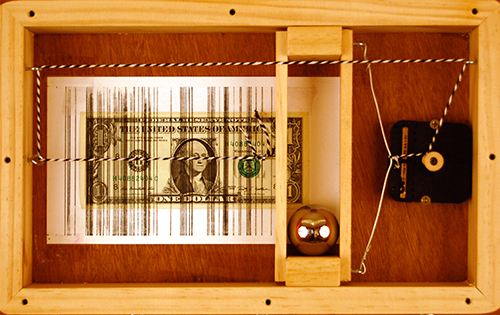 Experimental drawings. 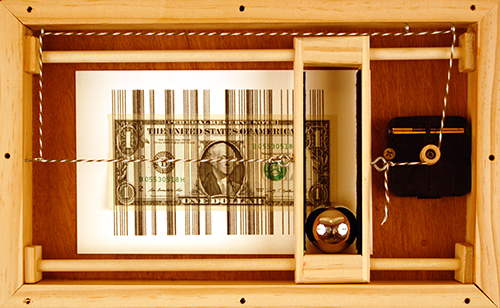 Eight boxes built to record their own journey from Greenville, NC to other cities named Greenville. 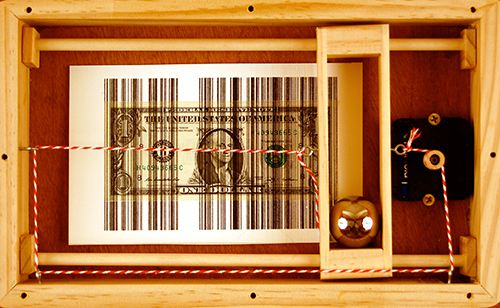 As a group exhibit built around the concept of “currencies,” each artist was assigned about eight states to represent under this theme. 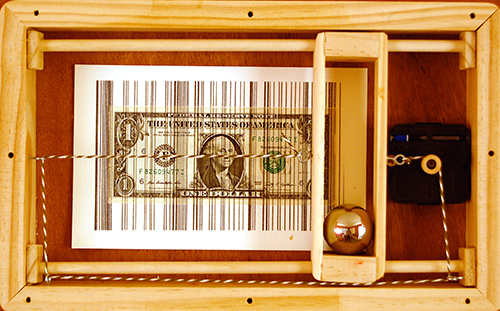 Constructed from wood, clock motors, large steel balls, carbon paper, string, and dollar bills, each box was shipped from Greenville, NC to the town of Greenville in eight separate states. 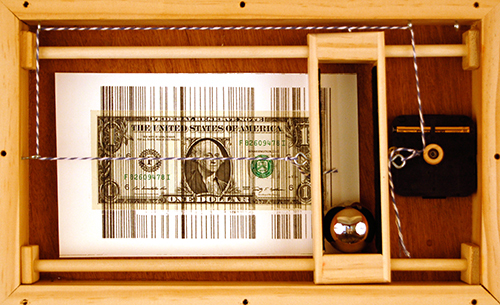 As simple mechanical constructions, the motions the box went through while traveling would be documented as a drawing on one dollar bills.